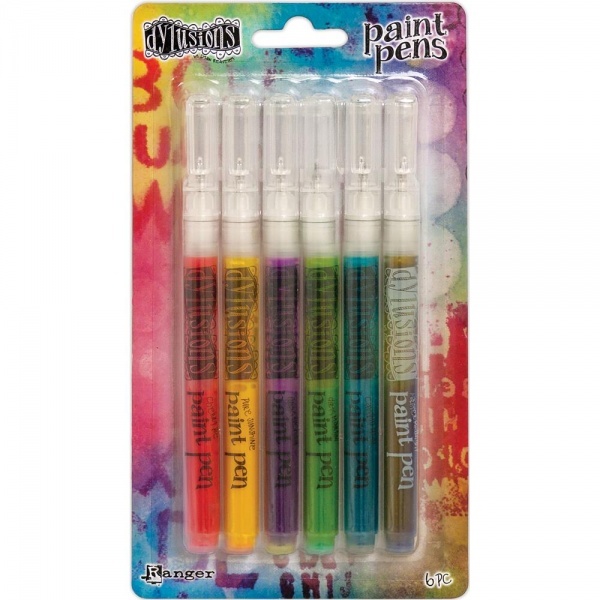 Dylusions Paint Pens are perfect for journaling, writing and doodling in the Dylusions Creative Journal, on Journaling Tags and more. The fine tip is ideal for creating detail and precise writing. Shake pen so mixing ball rattles and paint mixes. Press nib gently on paper to start the paint flowing. Multi-surface, quick drying and opaque paint. Colors included are Cherry Pie, Pure Sunshine, Dirty Martini, Calypso Teal, Funky Fuchsia and Melted Chocolate.